This volumes provides arguments and solutions for advanced distributed learning for a growing security community. Particular attention is given to multinational collaboration in the use of learning technologies in the framework of the NATO Partnership for Peace program, the role of technical standards in ensuring interoperability among separate learning technology applications, and the social impact of learning technologies on communities. Individual articles analyze the challenges of providing information security of distance learning, the generation and integration of informal knowledge, and ADL related challenges of plagiarism, cheating and academic dishonesty. Editorial. "Advanced Distributed Learning for a Growing Security Community." Information & Security: An International Journal 14 (2003): 5-14. Ivashchenko, Andrij, and Kateryna Synytsya. "Advanced Distance Learning for Training National Peacekeeping Forces." Information & Security: An International Journal 14 (2004): 45-55. Monitor, ISIJ. "ADL websites - Useful sites, portals, and forums." 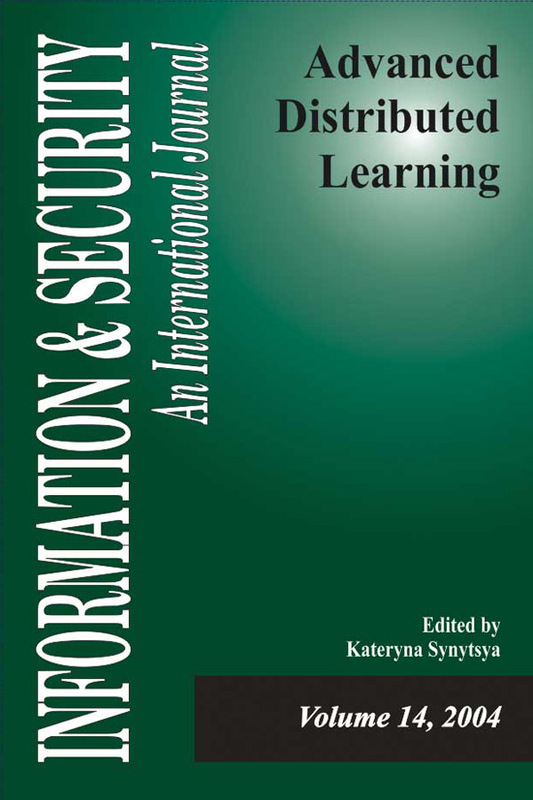 Information & Security: An International Journal 14 (2004): 159-165.